The singer and her family will perform Jewel's Handmade Holiday Tour at the Palace Theatre on Friday, December 14. Singer-songwriter Jewel Kilcher (better known by just her first name) hardly needs an introduction. But why would I turn down an opportunity to introduce one of my all-time favorite artists? Raised in the tiny and remote town of Homer, Alaska (about four hours south of Anchorage), Jewel grew up on a rural homestead, singing and performing with her parents, singer-songwriters Atz Kilcher and Nedra Carroll. 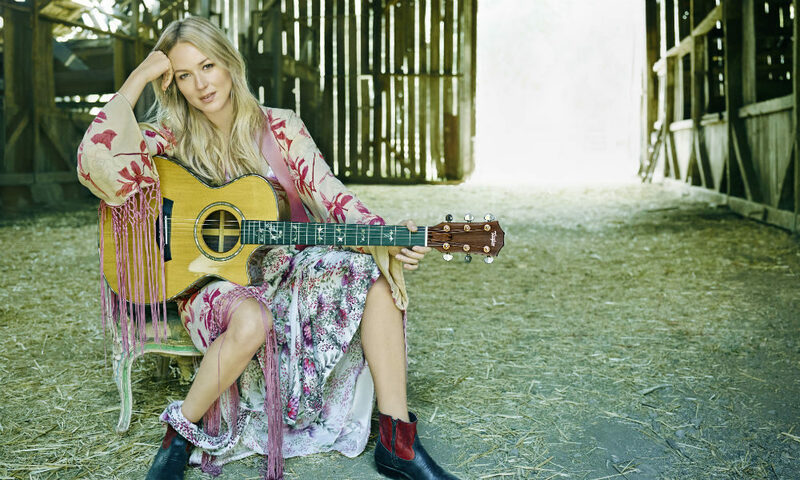 After graduating from high school, Jewel relocated to San Diego, where she played in coffeehouses and even lived in her van for a while as she tried to make it as a folk singer. In 1994, she was discovered by record company representatives and signed to Atlantic Records. Her debut album the following year, Pieces of You, went platinum 15 times over, and soon Jewel had gone from corner coffeehouses to singing duets with Bob Dylan in front of tens of thousands. Since the success of Pieces of You, Jewel has recorded 11 more studio albums, garnered 4 Grammy nominations and her collection of poetry, A Night Without Armor, became one of the top-selling volumes of poetry in American history with more than 2 million copies sold. The Kilcher family even have their own show now, Alaska: The Final Frontier, which documents the kind of upbringing that the singer-songwriter had in rural Alaska. Fans in the Capital Region of both Jewel and Alaska: The Final Frontier are in for a big treat. On Friday, December 14, Jewel, her father, Atz, and two brothers, Atz Lee and Nikos, will be at the Palace Theatre as part of Jewel’s 2nd Annual Handmade Holiday Tour. 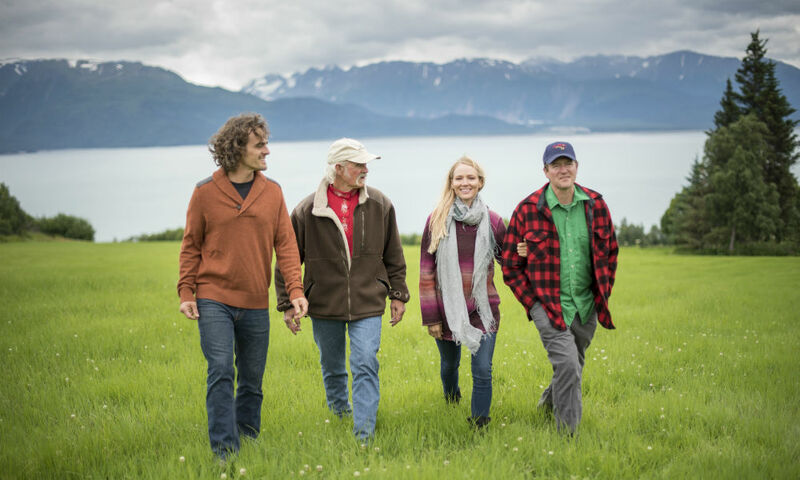 The one-of-a-kind concert experience includes a mix of musical stocking stuffers: holiday originals by the Kilcher family, hit Jewel tunes and classic Christmas carols as well as the opportunity to make handmade holiday gifts inspired by the Kilcher family. I got to sit down with the star singer-songwriter to talk about her tour, her family and her philosophy. You’ve played in Albany before, what do you think of the Capital Region? Well, we’re nearing the holidays. Tell me about this Handmade Holiday Tour that you’re on right now. It’s an excuse for me to get my entire family together and really share how we were raised. 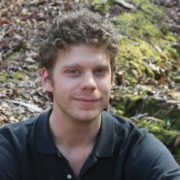 I was raised on a homestead living off the land, and we didn’t have a lot of money for gifts. But we did have the ability to be creative, and that was really fostered in our home. So we made gifts for each other and sang together, and that’s what this tour is. We all made gifts: I made jewelry; my best friend made bath bombs from scratch; my dad made bracelets. We just want it to be a really sincere, heartfelt family experience. I imagine growing up in Homer, AK, making music with the family must’ve been a genuine form of entertainment. We didn’t have TV, much less reception in all of Homer. My dad was raised on that homestead when Alaska was still a territory. My grandmother in Europe had been an aspiring singer and poetess, and she taught all of her kids to sing, to be creative, to craft, to sculpt. So all of my aunts and uncles are incredibly creative. Creativity is a huge part of our family’s heritage. We didn’t have heirlooms in our family. We had songs. What’s the transformation been like for your family members, going from having their own show to now touring with you? I’ve had my dad out singing with me and my brothers before, just individually. But this is the first time we’ve done a tour together as an entire family that my son gets to be a part of. For me, that’s the magic of it. I get to be around my family which is normally hard. Living in Alaska, it’s hard to get home. Would you say that you’re Alaska’s most famous singer ever? I don’t think there are many other singers that were raised there. Tom Bodett, the guy [from the Motel 6 commercials] that says, “We’ll leave the light on for you,” he was living in Homer when I was growing up. At the height of your pop stardom, do you regret any opportunity you turned down or collaboration that you didn’t do? I mean, I turned down huge movies. I turned down lots of things because I wanted to stay in touch with my humanity. I believe this career, in particular, isn’t psychologically healthy. There’s no down time. There’s no time as an artist to really regroup, learn, have a lot of input, maybe create output again. It isn’t built in a humane way with a pace that allows for creativity and self-care. So I just take years between records. And I made sure that I took care of myself as an artist and continued my education, which is always really important to me… I forgot the original question. Hah, was there a particular project or collaboration that you regret turning down? I would turn down movies and projects, but the one thing that I really regret was that I did an Ang Lee movie [Ride with the Devil], and I was asked to host Saturday Night Live. I was exhausted, and I turned it down thinking, “Oh I’ll get offered that again.” I regret that because I’m actually really funny and love doing skits, and I do standup at my shows. So that one bums me out. What about dating, is there a celebrity crush that got away? Gosh, I don’t think I’ve ever dated anybody in the industry. Once when I was a young kid. I mean, it was great. But the reason I quit touring Australia, Europe and Asia, which was a huge thing to give up, is because you can’t have a relationship when you’re touring three years at a time. And I wanted to have a life, I wanted to develop myself as a whole person and that meant investing in myself. My son asked me about fame and people taking my picture, and I said, “It doesn’t make me a good person. It doesn’t even make me special. It just means people know my face.” It’s up to me to be a good human, and I’ve always taken that very seriously. Life is this garden, and if all you grow is your career, the rest of you atrophies. It sounds like it’s been a struggle finding time not just for your family, but for yourself as well. I actually created a website called jewelneverbroken.com. Anxiety and depression rates are at an all-time high. So I started a charitable foundation, and I shared some exercises I developed when I was homeless to help rewire my brain from anxiety and panic attacks. Those exercises are up for free on the website. Other than this new foundation and the holiday tour, what else have you got cooking? I’m starting work on a new record. I’m still writing, but I want to wait till I have a good group of songs [before recording]. I just think the singer-songwriter’s voice is really missing in today’s landscape. The singer-songwriter’s voice is meant to hold up a mirror to society that doesn’t distort that image, that lets us see us for who we are. And I don’t see a lot of that. I see a lot of artist’s propaganda: art to make yourself look more cool, more beautiful, more amazing, more whatever. So it’s really compelled me to write a record and to bring some heart and authenticity and share, at least, what I’m going through.